If you interested in sending your book suggestions, leave a comment or email abduzeedo@gmail.com with the subject Designers Book Shelf . Special thanks today for the suggestion of Leandro Oliveira. Graphic designers have always developed and designed new fonts for application in individual projects. Playful Type discovers a new and young generation of designers who are applying typography beyond the classical typeset and creating a dynamic range of playful and illustrative fonts and ephemeral lettering. Playful Type examines how designers today are creating typography with the aid of a multitude of different techniques. From manual lettering, calligraphy and collage to manipulative time exposure of photographs, designers are developing fonts for the moment which are irregular and often accidental. Blocks of ice are even being staged as real characters and paper cut forms and shadows metamorphose into letters and spatial installations. This book shows such cuttingedge examples of elusive scripts that are being translated into serially employable alphabets to be used digitally with the computer. Playful Type presents an inspiring collection of illustrative fonts and hand-made typography created from a variety of cutting-edge approaches and indicates current development in font design. (amazon) At first glance the cover was not all that inspiring, but when cracking it open it will put your mind in awe of the majority of the work. It brings my back to my childhood when cutting up paper and having an untainted imagination ran rampid. If you are into hand cut and imaginative creations this is the book for you. After the business plan, the first step for any new company is choosing a name-a seemingly simple activity which can be extremely challenging. The next and equally challenging step is designing a logo that is eye catching, appropriate, and reflective of the chosen name of the business. Even for the seasoned designer, this is a remarkably difficult task. 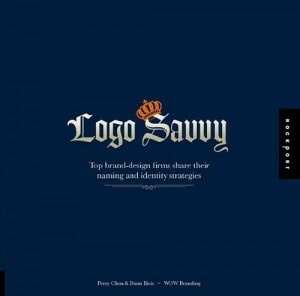 Logo Savvy will help readers understand how to define the right approach and achieve an innovative and unique solution for both the name and the logo design. Chapters showcase companies whose identities have evolved visually through the introduction of a great name, as well as companies which have developed a visual identity in tandem with a name. Case studies, corresponding side bars, and tips provide designers with the inspiration and tools they need to find the right approach for their own clients. (amazon) This is a superb logo / corporate image book. It was my top choice out of a stack of 20 from the local Borders and well worth the investment for some great inspirations. The text information on how each logo/branding concept was arrived at, how challenges were met and goals incorporated, is a fascinating look into the industry, particularly for anyone who hasn't worked for a major ad company before, and the processes are applicable even for smaller designers and advertisers. My favorite thing about this book was being able to see several of the original conceptual illustrations, including logo concepts that were rejected, designer notes, and the piece-by-piece elements that eventually led to the final client-approved design. Of course, it wouldn't be a great logo book without lots of inspiring logo images and full-color pics of how the logos were implemented into billboard ads and building signage, product packaging, and other print media. Overall, this one is definitely a keeper. A designer in New York creates a beautiful design but when she prints it the colors become muddy. An art director in Seattle sends a file to the print shop, and they call him to say the job won’t print. The editor of a college paper can’t figure out why all the pictures in the paper are jagged. And a freelance designer is Chicago needs to bid on her first print job. Linescreen, DPI, CMYK, RIPs, bleeds, spots, and spreads: Why didn’t they teach this stuff in design school? 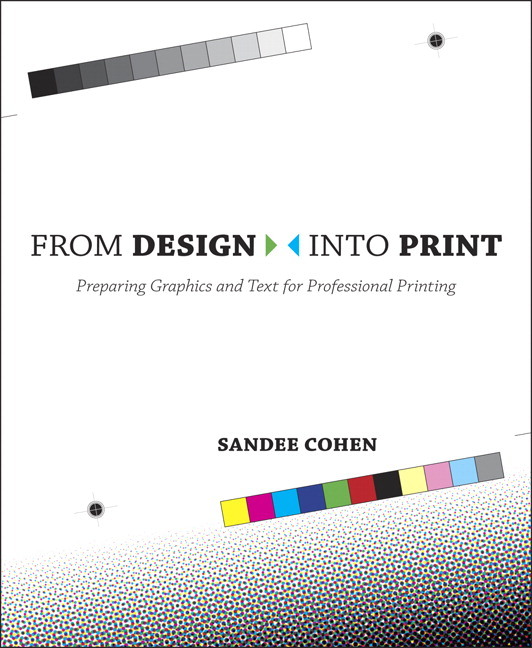 Sandee Cohen comes to the rescue, whether you’re producing your first newsletter or you’re an experienced graphic designer who needs to come up to speed on professional-level printing. She’ll tell you how to make your desktop printer behave, and will take the mystery out of dealing with print providers. You’ll learn all the necessary techniques, the terminology, and the rules of printing (and when you can break them). It’s like having your own production manager standing over your shoulder. The copious information in From Design Into Print will have your designs looking as stunning in print as they do on your monitor. Even the most creative mind needs stimulation. The more inventive pieces it takes in, the more resources it has to draw from. That's why many advertising creatives keep their own clip files. Street-Smart Advertising contains a plethora of examples designed to jump-start the right side of the brain. It is packed with memorable uses of new media, exciting on-strategy marketing, creative online work, insightful quotes by giants in the advertising industry, and exercises to strengthen creative thinking. Students and practitioners alike can reference this book for fresh campaign concepts, unusual visual treatments, innovative media ideas, powerful writing techniques, brainstorming methods, and more. 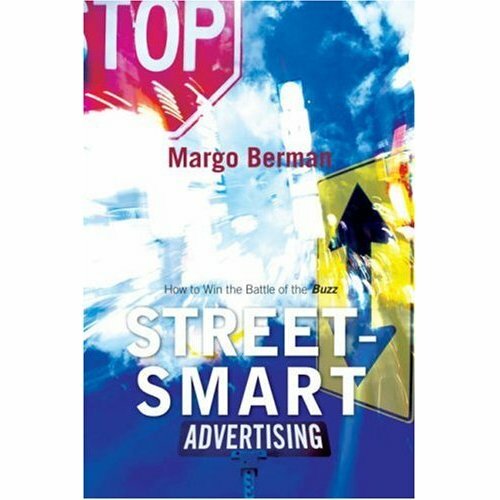 (amazon) Margo Berman's enthusiasm and expertise for creativity and advertising really shine through on every page of this book. As someone who is very knowedgable about marketing but not so much about advertising, this book really added to my knowledge. It has served as a great resource over and over again. If you are interested in reading it front cover to back page, you can and you will learn much from the real-life "street smart" examples. The exercises help you apply the information. However what I find most useful about the book is that each chapter stands up by itself. I read the material and do the exercises and really feel I understand the material. It is like a mini-course in each chapter. Thanks again Margo for providing so much of you in this book!